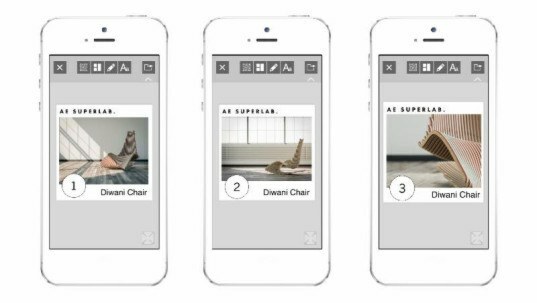 A revolutionary new mobile app is offering designers the ability to use their smartphones or tablets to create concepts on-the-go. 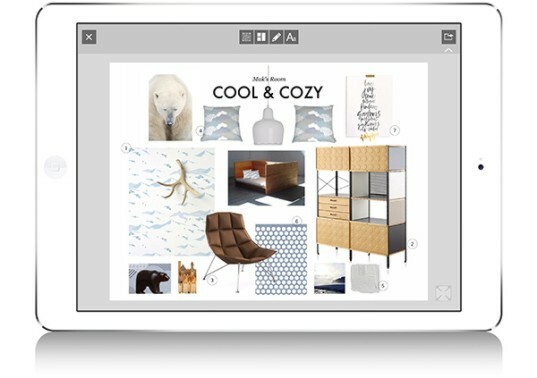 Board 2.0, from the masterminds at The Morpholio Project, is quickly becoming a staple for design pros, and is a dream come true for Pinterest fiends who want to take their “board” game to the next level. The app lets users stage rooms virtually on their mobile devices, giving designers the ability to create concepts whenever inspiration strikes them. This could mean big news for the future of design, allowing for more inspired and collaborative designs than ever before! Board 2.0 is shifting the way designers create an essential part of the design process: “design boards” or “mood boards” that showcase visuals and inspiration for a concept to their clients before the final design stage. The cloud-based technology of Board 2.0 provides users with a library of resources that rests in the palm of their hand. Designers can use their touchscreens to select images from a curated gallery of over 1000 design products from a variety of renowned lines including Herman Miller, 3Form and Dyson as well as many new emerging designers. Once a board is decorated with anything from furniture, materials and color swatches to a designer’s own notes and illustrations, users can then easily share it with clients and colleagues for immediate feedback and collaboration. A revolutionary new mobile app is offering designers the ability to use their smartphones or tablets to create concepts on-the-go. Board 2.0, from the masterminds at The Morpholio Project, is quickly becoming a staple for design pros, and is a dream come true for Pinterest fiends who want to take their "board" game to the next level. The app lets users stage rooms virtually on their mobile devices, giving designers the ability to create concepts whenever inspiration strikes them. This could mean big news for the future of design, allowing for more inspired and collaborative designs than ever before!